We’re right in the belly of the beast that is Awards Season now, and suffice to say the premium spirits are in full flow. On Monday, Patrón Tequila returned to Monaco’s Jimmyz Nightclub for the third year in a row as the official sponsor for the Laureus World Sports Awards afterparty. Broadcaster Amanda Davies co-presented the awards. Guests, who included tennis player Boris Becker, and footballer Carles Puyolwere and Cesc Fàbregas, were welcomed with the “Hot Mexican”- a warming Patrón Añejo cocktail served in silver mugs, as well as sipping on margaritas and a bespoke serve called the Patronic (which is just Tequila and tonic, if we’re honest). 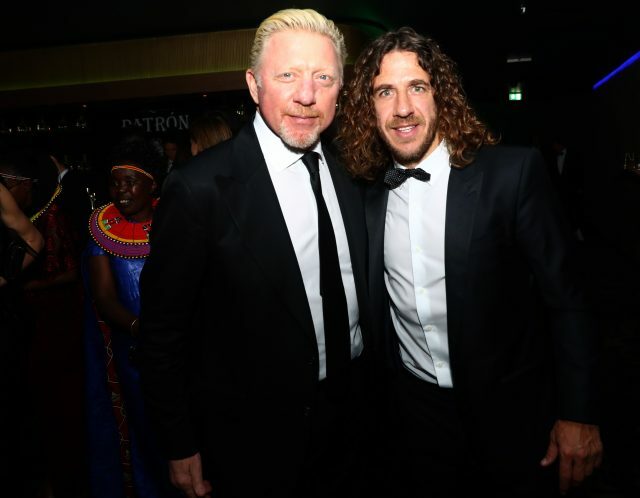 Our eyes on the inside told db that after a few drinks, Boris Becker was the last one on the dance floor having a bit of a dance off with Brian O’Driscoll. Keep up the good work, Patrón. The Prince of Monaco was there for the awards, but for once didn’t attend the after party. Maybe he’s more of a mezcal guy.